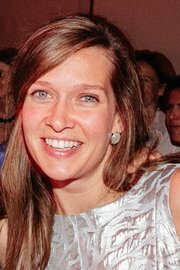 The dead also included Ann-Laure Decadt, 31, of Belgium, who had traveled to New York with her mother and two sisters, according to her husband, Alexander Naessens, who shared information about his wife with the mayor of Staden, where she lived. Mr. Naessens said he received a call from officials at NewYork-Presbyterian Hospital less than an hour after the attack and was told that his wife had died. He said she was riding a bicycle near the Hudson River with her family when she was struck. Didier Reynders, the Belgium foreign minister, sent out a tweet Tuesday night expressing his condolences to the family. Mr. Reynders said three Belgians were also among the 11 people who were injured in the attack and had been undergoing surgery on Tuesday night. The victims from Argentina had traveled to New York because one of their classmates lived there, according to the official, who spoke on condition of anonymity because the foreign ministry was still notifying relatives Tuesday night. The classmate was not among those killed, the official said. Another Argentine visitor who was part of the group, Martin Ludovico Marro, was injured in the attack and was recovering from his injuries at a hospital in Manhattan, officials said. The mayor of Rosario declared three days of mourning with flags at half-staff, according to news media in Argentina.